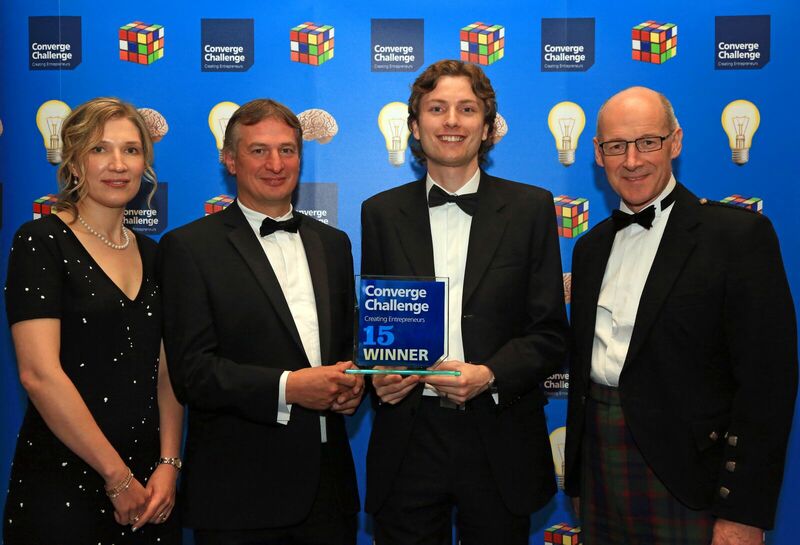 A start-up company formed at the University of Edinburgh has won this year's 2015 Converge Challenge Award - Scotland's premier company creation competition jointly funded by the Scottish Funding Council and Scotland's eight research-intensive universities. The win is further recognition that the university's commercialisation arm, Edinburgh Research and Innovation (ERI), is now seen as one of the most successful 'drivers' of science and technology company formation in the UK. 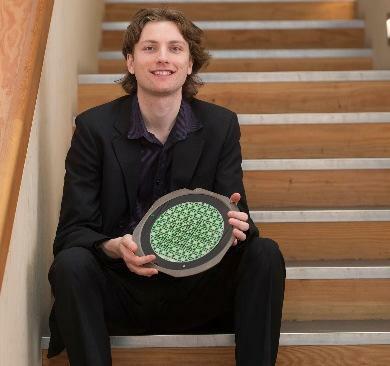 Photon Force Ltd, founded by Richard Walker, a Post Doctorate Research Fellow at the University of Edinburgh's School of Engineering, picked up the £60,000 first prize after overcoming strong competition from five other finalists from across Scotland to win the coveted 2015 Converge Challenge Award for 2015. The Converge Challenge Gala final took place in front of 200 guests at The Barony Hall, the University of Strathclyde, Glasgow, attended by Scotland's Deputy First Minister, John Swinney MSP. Richard received £35,000 to start his business - a significant financial injection at a vital stage in a young company's development - plus a further £25,000 in business support from a number of commercial and professional services organisations. Photon Force Ltd designs, builds and supplies scientific sensors that can very precisely detect and measure single photons - the tiny building blocks of light. While this technology is in high demand for many applications, such as biomedical imaging, Richard identified that current systems are bulky, slow and restrictive. Photon Force has developed anintegrated image sensor solution which will deliver significant competitive advantage with respect to incumbent systems - a technology idea which impressed the distinguished six-man Converge Challenge judging panel. "Converge Challenge remains a great motivator to help encourage more academic staff and students to exploit the commercial potential of their inventions and continue our remarkable quest for technological innovation, as seen here with Richard's ground breaking idea to take photonics and sensor applications to the next level." The University of Edinburgh was well represented in one of the other Converge Challenge competitions - Converge KickStart - where the University again triumphed. The KickStart competition, which encourages and supports early stage ideas by providing enough funding to enable a project to create a prototype or to secure IP rights, was won by Salman Tahir, a Research Associate from the University’s School of Biological Sciences, with his company Xi: cross-linking analysis software. Salman has identified a market opportunity for a specialist software that studies the cross-linking interactions in proteins to perform crucial data analysis of interest to molecular and structural biologists. He was joined in the KickStart competition final by postgraduate students Alexander Enoch, whose company Red Robotics Ltd designs low-cost walking robots for education and hobbyists, and Angelos Spanos, with Flexi-Scope, a debugging software solution for microchips. There was one more success on the night when Hannah Dimsdale, a student from the University’s Edinburgh College of Art, won the Entrepreneurial Spirit Award for her business idea, Teadough - a doughnut 'recipe' kit directly inspired by her ancestor, Elizabeth Dimsdale, who invented the doughnut back in 1803. “The Converge Challenge is Scotland’s principal competition for university spin-outs and start-ups, and the quality of entries this year at every stage is testament to its status. For the University of Edinburgh to be so well represented in the short lists is an achievement in itself. It reflects the quality of support, coaching, mentoring and training provided by Edinburgh Research and Innovation and its partners, including Scottish Enterprise and the Royal Society of Edinburgh. It’s that support that elevates the great research and ideas being generated in the University of Edinburgh and creates exciting business propositions so evident at Converge Challenge. Moreover, The University of Edinburgh is now regarded as one of the most successful centres of technology company formation in the UK. It’s seen by many as the leading exponent of staff and student enterprise anywhere."